Alberta’s Grizzly Century-Grizzly bears are important both as a symbol of Alberta’s rugged wilderness and as an ecological indicator. Grizzly bears are important both as a symbol of Alberta’s rugged wilderness and as an ecological indicator. But are we willing to save the grizzlies from our own intrusion into their territory? When Andy Russell died on June 1, 2005, nature honoured him with a tempest the likes of which he had never seen in Southwest Alberta during his 89 years. Rain fell like lead shot for almost a week. Mother nature sent a once-in-200-years deluge, ooding towns and homes along the eastern slopes. By the day of the funeral, the Oldman River, a river Russell fought long and hard (though ultimately unsuccessfully) to save from damming, had breached its banks. Russell was himself a force of nature. Originally a guide/ outfitter with a penchant for storytelling, Russell produced 12 feature-length films, including Grizzly Country, 13 books and more than 100 articles. He was an outspoken advocate for wilderness and wildlife, especially the grizzly bears he grew to love during decades spent among them in Alberta and British Columbia. On his death, the Pincher Creek Echo reported that Russell admitted to being “a thorn” in the province’s side at times, a man who never hesitated to “raise a little hell” when necessary. At the centre of Russell’s life, perhaps even his soul, was the grizzly bear. He spent hundreds of hours in the field with them, at first hunting and then viewing and filming them. His experiences, long before the famed Craighead brothers studied grizzlies in Yellowstone, laid the foundation for our understanding and appreciation of North America’s largest carnivore. For Russell, the grizzly bear transcended its majestic physical presence on the landscape and its role as indicator of the health of the ecosystems on which man and beast rely. It became a powerful symbol of our culture’s relationship with the natural world of which both grizzly and human are an integral part. Grizzly bears once roamed most of North America. Stephen Herrero, world-renowned grizzly bear expert from the University of Calgary, estimates 6,000 grizzly bears lived in Alberta before Europeans arrived. Native people from the Siberian taiga to Canada’s great plains revered the bears. Numerous Native cultures venerated them with elaborate ceremonies and identified them with resurrection and rebirth, healing and spiritual well-being. When killed, the grizzly’s body was often regarded as a gift, its soul an intermediary between people and the deity of the earth. By the time Russell was born in 1915, Canada’s grizzly population had largely been wiped out east of the foothills where Russell grew up. The advent of the repeating rifle in the mid-19th century had allowed fur traders and hunters to kill grizzlies—and the bison they depended on—in unprecedented numbers. E dominion lands act of 1872 and the arrival of the Canadian Pacific Railway in 1883 brought thousands of settlers to southern Alberta. 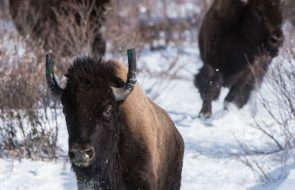 They attempted to turn the native grasslands into an agricultural Eden, destroying the habitat grizzly bears and other native wildlife needed for survival. The key has been to provide grizzly bears the habitat they require to not get killed faster than they reproduce. This is more complex than it seems. No one has devised a way for large numbers of people to coexist with grizzly bears. It wasn’t just physical displacement that spelled disaster for the grizzly bear. Early settlers and industrialists brought attitudes toward nature that left little room for the grizzly. Not understanding bear behaviour and biology, settlers considered them a menace and shot, trapped or poisoned grizzlies mercilessly. Responding to a rabies scare in the early 1950s, the Alberta department of lands and forests embarked on an aggressive animal control program. Government officers doled out “1080” (sodium fluoroacetate) and strychnine “by the bucketful,” according to Dennis Weisser, Chief District Wildlife Officer in the Hinton area in 1974. Trappers laced Alberta’s wildlands with poisoned bait, indiscriminately killing bears and other animals. And so Alberta’s grizzly bears vanished from most of southern and central Alberta outside the impenetrable boreal forest and the fortress-like rocky mountains. By the early 1960s, in large part because of the Craigheads’ research in Yellowstone, people became more aware of the impact human activities had on grizzly bears and increasingly valued them as an integral part of Alberta’s natural and cultural landscape. Is resulted in some protection for the grizzly. Poison use declined (though it is still used on occasion) and the government restricted the number of grizzly bears that sport hunters can shoot each year. A few areas on provincial lands—the Wilmore, the white goat, the whaleback—offer a modicum of protection, and new research has increased our understanding of what grizzly bears require to survive. But the grizzly continues to decline in Alberta, or at least has not recovered sufficiently from the purges of the mid-20th century. Although the government adopted a management plan in 1990 to increase the size of the provincial population by roughly one-third, Alberta’s endangered species conservation committee (ESCC) recommended in 2002 that the government list the grizzly bear as a threatened species. It also suggested the government suspend the grizzly bear hunt, and work on an effective recovery plan. So far, the government has done little to act on these recommendations. The sport hunt continues, and the government refuses to list the species as threatened. But, in a bizarre case of putting the cart before the horse, it has set up a recovery team. “I think we’ve done very well for bears over the last 15 years,” says Dave Ealey, SRD Issues Manager. The government’s most recent status report on grizzly bears, written by John Kansas and released in January 2002, claims Alberta’s grizzly bear population stands at 1,056, more than achieving the 1990 management plan’s goal of 1,000. Why do the government’s comments on the status and future of what it calls “one of our province’s most notable species” differ so dramatically from the analysis and opinions of almost everyone else? And why has the government gone to all the trouble and expense of drafting yet another plan to guide the bears’ recovery if they are not even threatened? Alberta’s fish and wildlife policy, adopted in 1982, provides the provincial framework for managing grizzly bears. E policy refers to the grizzly bear as a “resource” to be “allocated amongst esthetic, recreational, commercial and other users” to “maximize benefits to Albertans.” It does not mention the grizzly bear’s inherent right to exist in Alberta whether or not it provides immediate social or economic benefit, nor does it refer to the ecological importance of the bears. The starting point is utility— like oil and gas, the grizzly bear’s only value is as a commodity. We need only keep them around to photograph, view or shoot. The plan aimed to increase the grizzly bear population from an estimated 790 bears to a viable population of at least 1,000—a modest goal, given that approximately 215 of those grizzly bears lived in Alberta’s federally managed national parks. This left the provincial government the less-than-onerous task of increasing its grizzly bear population from 575 to 785. 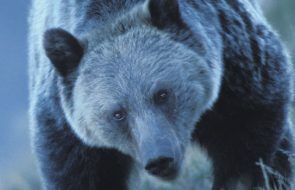 Leaving aside the issue of whether this population goal is defensible—which it is not; the international guidelines the province claims underpin its recovery e orts say the province requires at least 2,000 grizzly bears for a viable population—has SRD implemented the plan, and has it attained its goals? Although lowered hunting quotas cut in half the number of grizzlies killed in the sport hunt, the plan recognized that preserving and managing habitat is the key to ensuring any kind of future for Alberta’s grizzly bear population. E plan included making an inventory of grizzly habitat, devising a strategy to protect and retain habitat and conducting accurate and state- of-the-art population estimates for all grizzly bear ranges in Alberta. Indeed, after the authors corrected the errors and re-calculated the current population estimate—only months earlier assessed at a robust 1,056 grizzly bears—the new number came out at around 500. This egregious overestimate of the number of grizzly bears, the report contends, may have “serious” consequences for population management. To its credit, the government has invested $250,000 in a province-wide study to provide as accurate a population estimate as possible, but this is only a fraction of the cost of keeping grizzly bears on the ground in such a highly developed landscape. In a province contemplating how to spend $1.4-billion in prosperity “bonuses,” earned largely at the expense of grizzly bears and the integrity of the Alberta environment, it is a figure hardly worth considering at all, except perhaps as an indicator of the fervently anti-environmental leanings of the neo-conservative ideologues who have ruled Alberta for the last 15 years. Managing grizzly bears in highly developed areas is tricky and politically contentious. It’s worth comparing Alberta to the us, especially Yellowstone national park. The grizzly bear in the contiguous us was listed as threatened in 1975. The US government took seven years to approve a recovery plan. Although the plan covers six distinct grizzly bear populations in Idaho, Montana, Wyoming and Washington, the Yellowstone population has responded with the most success. 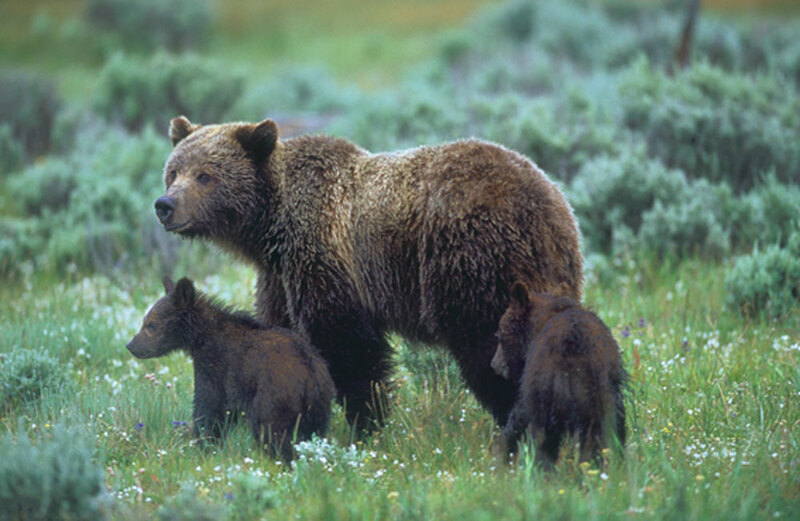 Since 1982, the us government has spent millions of dollars recovering the Yellowstone grizzly. To get there, the US government invested more than $2-million every year on the recovery plan in the Yellowstone area alone. If and when the Yellowstone grizzly bear is delisted, the price tag will increase to more than $3-million annually for an area one-tenth the size of the recovery zone for grizzly bear habitat in Alberta. “The Yellowstone recovery plan is the standard. And they’ve set a pretty high bar,” says Mike Gibeau, a grizzly bear expert and large-carnivore specialist for Parks Canada. The key has been to provide grizzly bears the habitat they require to not get killed faster than they reproduce. While this may seem self-evident, it is actually more complex than it seems. Over 90 per cent of grizzly bear deaths occur near roads and at the hands, or guns, of people. Conflict arises when too many people try to share land with bears. Fear and misunderstanding lead to trigger-happy responses to interactions that might otherwise have been avoided or di used. When grizzly bears, evolutionarily compelled to put on as much weight as possible before hibernation, rummage through garbage, confiscate a hunter’s just-shot elk, or help themselves to a cow or two, they often find themselves on the short road to an early grave. No one has devised a way for large numbers of people to co-exist with grizzly bears. E more people, the more dead bears. That’s why the best strategy—the one used in the US—limits the amount and types of human activity that can occur in places where grizzly bears have been designated the right to survive. The only method that has proven effective at allowing people and grizzly bears to coexist is to control the number of people in grizzly bear habitat by limiting the number of roads, and modes of travel, on the landscape. The US developed road density thresholds and minimum quality standards for designated grizzly bear habitat. Fewer roads, and prohibiting motor vehicles, means fewer people and fewer dead bears. This doesn’t mean there can be no human activity in these areas, but it does stipulate that whatever takes place must be within the constraints imposed by the presence of the great bear. In 23 years, the population has expanded from 200 bears in the 10,000 square kilometre park itself, to more than 600 grizzlies roaming an area three times that size. In the process, protections afforded the grizzly bear have helped preserve habitat for dozens of other species and created a multi-million dollar fishing, hunting and wilderness-based tourism industry in the area. Our debt gone, the price of oil soaring, we are wealthy beyond belief. And yet we refuse to provide enough space in our imaginations and on our landscape for the grizzly bear to survive. But that doesn’t seem to be on the provincial government’s agenda. Most of Alberta’s grizzly bear habitat is spider-webbed with roads leftover from 30 years of aggressive oil and gas and forestry development. In the Castle wilderness area north of Waterton National Park, once prime grizzly bear habitat and one of the places Russell knew best, the road density is far in excess of the accepted scientific standards. Even in the foothills model forest the future of the grizzly bear appears bleak. The forest covers 27,500 square kilometres near Hinton, and includes parts of Jasper National Park, the Willmore Wilderness Area, and crown land used extensively for timber, petroleum and coal extraction, tourism and recreation. A partnership among the provincial government, the federal government and key industrial players, the foothills model forest supposedly provides practical solutions for stewardship and sustainability of Alberta’s forests. A recent scientific paper by Dr. Scott Nielsen from the University of Alberta predicts that the amount of forestry and oil and gas development planned for the area, and the roads that go with them, will likely mean the disappearance of grizzly bears outside of the national parks within 30 years. However, it appears the worst thing for the environment is not poverty, but obsessive, poorly managed economic development. Alberta is one of the wealthiest political jurisdictions on the planet. According to a paper published in the journal of environmental management in 2001, Alberta’s 1997 gross domestic product ranked 18th out of 162 countries; in purchasing power parity it ranked 6th. Surely our economic star has only risen since 1997. Our debt gone, the price of oil soaring, we are wealthy beyond belief. And yet we refuse to provide enough space in our imaginations and on the landscape for the grizzly bear to survive. Very little of Alberta’s provincially managed land is protected for the benefit of wildlife conservation, effective watershed management and sustainable use. With 1.4 per cent of our provincial land protected, one study ranked Alberta 112th in comparison to 141 countries. Without a shift in mindset at the highest government levels, that price will include the eventual disappearance of the grizzly bear, first from southern Alberta, where development has been most intensive, and then from the North, which is trying its best to catch up. And when the grizzly goes, so too will Andy Russell’s spirit, despite what Klein says. Knowing this, it is difficult to imagine what Premier Klein meant when he called Russell a “true Albertan original” and “a living symbol of the values that define the province.” Russell was an independent, hard-working, self-sufficient son-of-a-gun who carved out a respectable niche for himself in a sometimes harsh and unco-operative world. The same has been said of many Albertans as we reflect on our first 100 years, a period of technological progress and economic growth that, by good luck or good management, has le Alberta in a unique position to consider its future. But Andy Russell was more than that. He was an artist and a seer a generation or two ahead of his time. He understood that the rights and freedoms associated with an abundance of resource commodities must be accompanied by respect for the natural world and more than a modicum of restraint. He symbolizes not what Alberta is, or has been, but what Alberta might become as it struggles to redefine itself during the next century. If an increasing number of grizzly bears roam Alberta’s boreal forest and foothills in 2015, a century after Russell’s birth, then we will have learned, as Russell hoped, “something of what it means to live in harmony with nature,” and Klein’s words will be transformed from empty rhetoric into a prescient and thoughtful reflection on the future of his province. 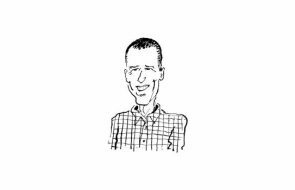 Jeff Gailus is an Alberta writer and conservationist. He teaches at the University of Montana and is working on a book on grizzlies.